Set your phone screen and/or laptop backdrop to a bible or saint quote. 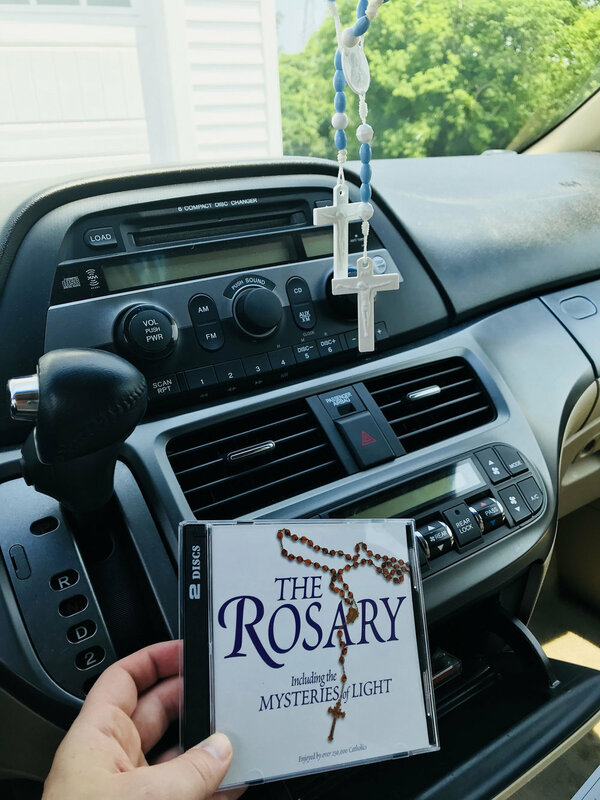 Put a rosary on your driver’s mirror inside your car. I also recently purchased a CD recording to play occasionally for longer trips when we want to pray in the car. Use a prayer card for your bookmark. Hang a crucifix in every room in your house. Use a Catholic planner and/or calendar. This year Im using the planner from Small Things with Great Love & LOVE it! Has all the feast days and inspirations for the liturgical year. Have a Mary garden or statue in your front yard. Keep a Bible by your bedside. And a rosary, prayer cards, or prayer journal. 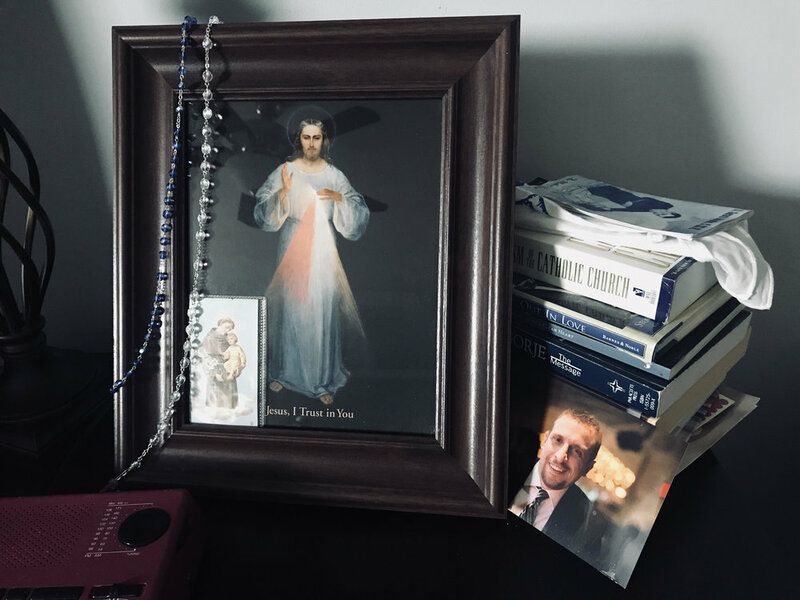 I also started a prayer corner for my oldest, inspired from the Little Oratory. Fill your house with sacred art, holy statues & quotes. 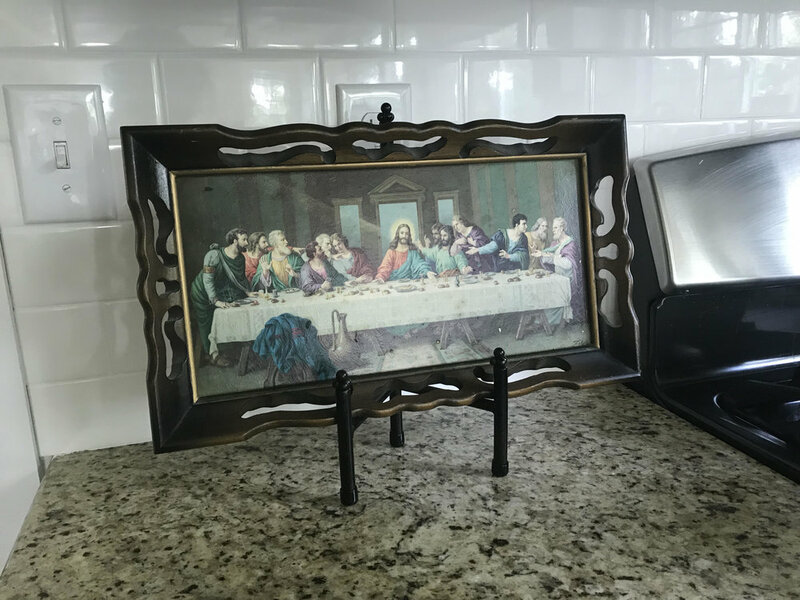 Finding something for holy wall decor like my amazing friend's business Cottonwood, sacred art like my friends gorgeous work at Visual Grace, or shopping around Catholic sites like Blessed is She shop! Keep holy water in your bedrooms or a holy water font by your front door. I need help remembering the Christian life is a journey that requires focus on the ultimate goal of heaven. Joy is a choice, that I need to keep choosing. The ability to create holy reminders throughout my life is a great step in that process. Let’s keep encouraging each other to choose to surround ourselves in the best ways we can that lift our hearts and minds to heaven! 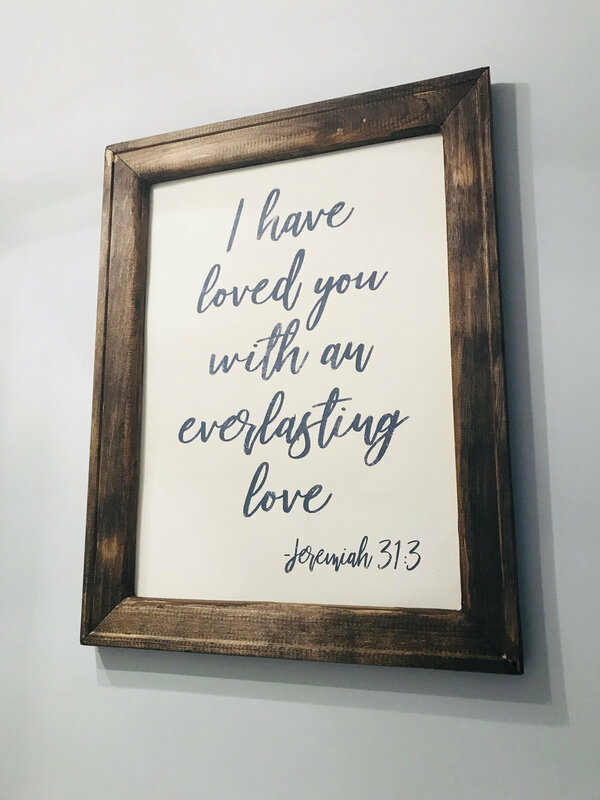 Here are some picture ideas to share from around my house/domestic church in progress! We got this sisters!